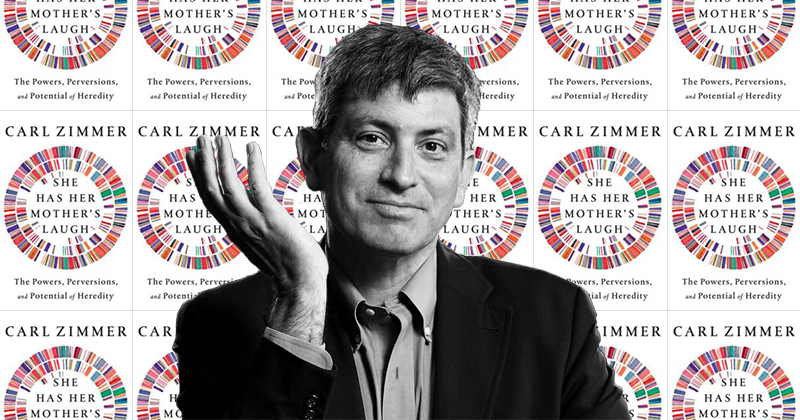 Carl Zimmer’s She Has Her Mother’s Laugh: The Powers, Perversions and Potential of Heredity, an investigation of what we pass from generation to generation from an award-winning science writer, is a finalist for the Baillie Gifford Prize. Lit Hub asked Zimmer a few questions about his writing habits, his life, and making it into the shortlist. It’s easy these days to start writing the obituary for books. After all, so many of us now spend lots of time gazing into the miniature window of our phones. And yet book publishing revenues have actually grown over the past few years. What’s more, some of the most successful recent nonfiction books have tackled some of the most important challenges we face as a society. Tweets and Facebook posts provide quick sugar hits for the brain, and yet people still crave the deeper experience that only a full-length book can provide. 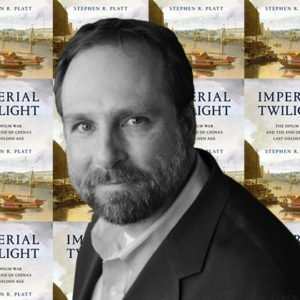 Writers can chronicle the deep history of the issues of the day, so that we can see how little is truly new under the sun—and learn from the examples of generations that came before us. When we authors search for an idea for a new book, we look for rich veins of material we can mine. But sometimes we uncover so much that it’s hard to know what to do with it all. When I first got the idea for She Has Her Mother’s Laugh, I thought I would simply write a cultural and scientific history of heredity, from the ancient world to the age of CRISPR. I knew that there would be a lot of research to sift through, but I didn’t anticipate just how many extraordinary stories there were to tell—not only about how our view of heredity is changing today, but about how our vision of heredity has changed through the centuries. I ended up writing a big book—and yet it could have been so much bigger. I have been reveling in fiction since my work on She Has Her Mother’s Laugh tapered off. I’ve concentrating on science fiction because I think it will help me tell nonfiction stories about science better. Right now I’m reading Octavia Butler’s Parable of the Sower and Annihilation by Jeff VanderMeer. I’m deeply enjoying how both writers carefully spool out their plots, step by step, rather than trying to rush through all their material as fast as possible. There’s a rhythm to novels that nonfiction writers can learn from. I used to be a hard-core night owl, writing my best stuff around midnight. But once children came into the picture, I’ve tried to keep more business-like hours. Once everyone was off to school, I would get to work. I still sometimes end up writing at night, but I find that I slow down drastically and what ends up on the screen is just not worth the extra time. When I was college, I had the good fortune to take a writing class with the late essayist and poet Vicki Hearne. In one class, she helped us think about what we would write about over the semester by talking about our obsessions. I had recently read The Fate of the Earth, Jonathan Schell’s terrifying exploration of the consequences of nuclear war. So I told Hearne about how I was haunted by his visions of global destruction. I’m forever grateful for that question. It would have been easy for me at age twenty to strike a hip pose, pretending that nothing mattered because we were all going to end up as cinders. Hearne wanted me to think about life-affirming obsessions, the fascinations that could lead us to gain a deeper appreciation of the world. I’m more worried by climate change than nuclear war these days, but I don’t think that’s an excuse to dismiss the world as doomed. In fact, that attitude is a cop-out, an excuse to feel nothing. I still bear Hearne’s advice in mind: and what else?